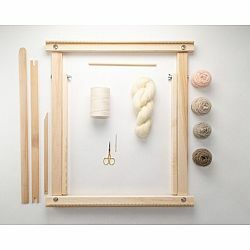 Home Shop by Category Beka Looms & Crafts A Weaving Frame with Stand (20" - Blush). 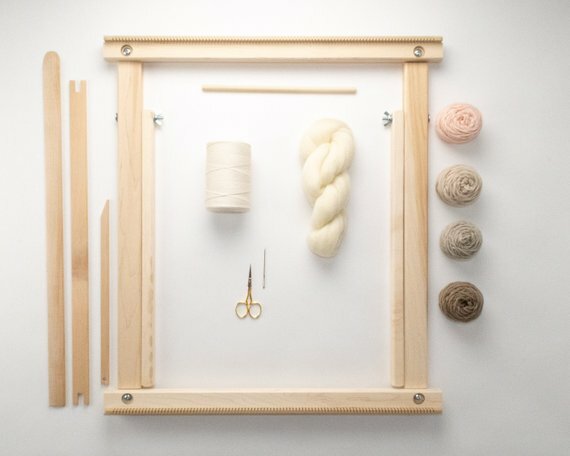 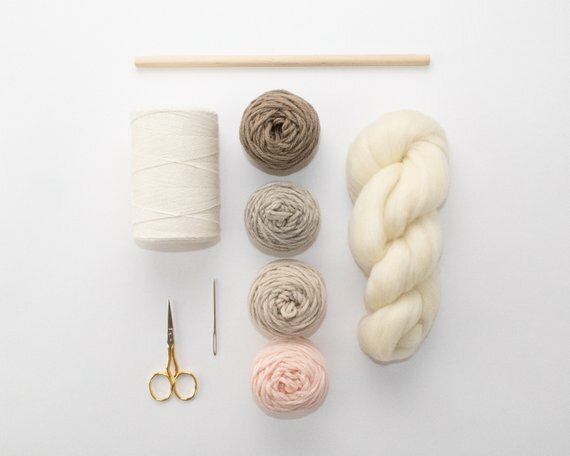 The Deluxe Kit / Everything You Need To Make Your Own Woven Wall Hanging. 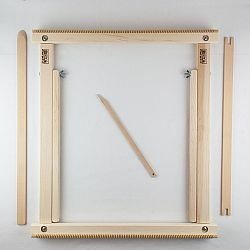 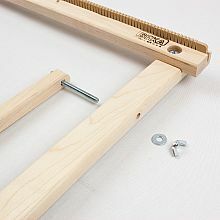 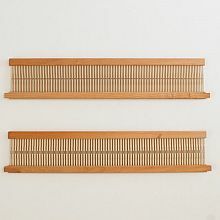 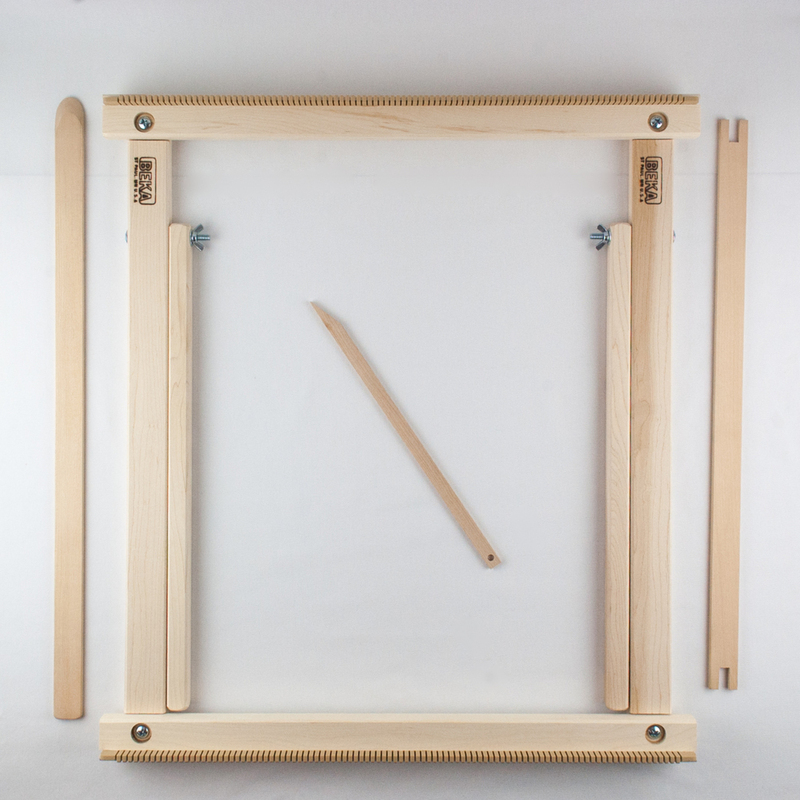 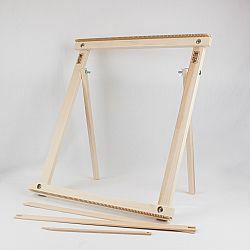 Simple to assemble, each deluxe frame comes with a set of beams featuring strong plastic teeth (20" maximum weaving width - 5 teeth per inch = 100 teeth per end piece), and all the tools needed to weave a 20" wide X 23" long project. 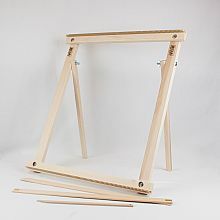 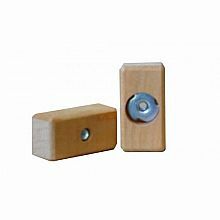 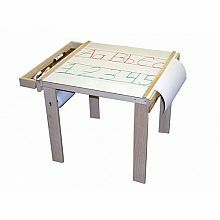 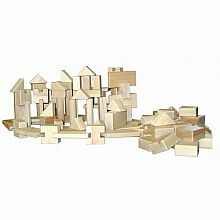 Includes complete instructions, two hard maple beams, two hard maple supports cross pieces, two pivoting kick-stand pieces (feet). 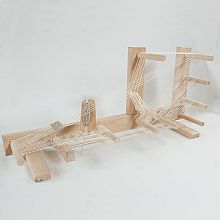 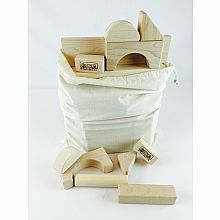 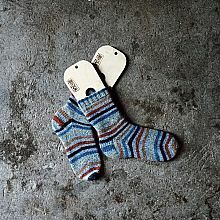 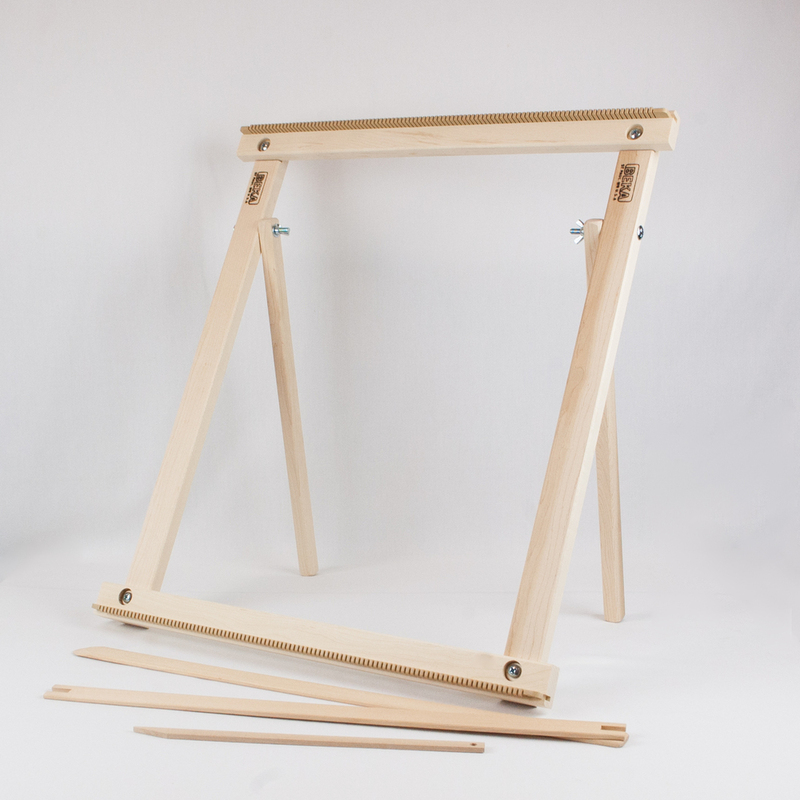 The loom is hand crafted by Beka Inc. in Saint Paul, Minnesota from sustainably sourced hard maple wood. 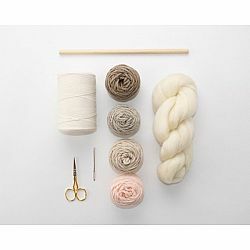 Item Number: WF-DEL Kit Blush.